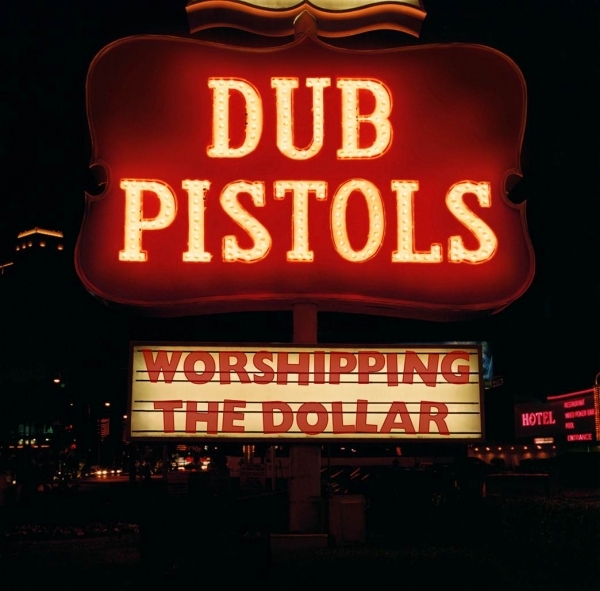 Dub Pistols return with their fifth album, Worshipping The Dollar, and will be released July 3rd via Sunday Best Recordings. From their early beginnings as a soundsystem project, Dub Pistols have grown into a party-rocking live band that ignites festivals and venues. Following the release of acclaimed 2009 album Rum & Coke, Barry Ashworth and his motley crew created their new record on the road. During the album sessions, Dub Pistols also recorded the title music for the new Rob Lowe movie “Knife’s Edge”, written by Bill Clinton’s former spin doctor Chris Lehane.The new album contains standout single “Alive,” full of thumping bass and bright burst of horns set to an infectious beat. After just one listen, we know it’s going to become a summer favorite. Dub Pistols are calling on fans from around the world to contribute to their brand new video for “Alive,” and you can be part of the action! The band wants to see what you think it’s like to be “Alive in 2012”—all you need to do is snap a photo showing what being alive means to you using the popular photo-sharing app Instagram, and add the hashtag #Imalive2012 by June 5th. The band will include their favorite fan-submitted images in their new video, to be released June 25th.